Breaking the ice in my training classes, I learn more about my students by asking a simple question: "Why do you want a CHL?" Stories range from previous close encounters to the unusual. A fellow instructor told me of one person who looked around to make sure no one was listening, then whispered, "killer clowns." I'm not partial to clowns myself. When you stop and think about it, anyone painting their faces like a clown can't be up to any good. The point is we all have our own reasons in coming to the decision to get a Concealed Handgun License. Some live or travel in less reputable areas. Sometimes it's due to a bad life experience. Remember, you are not paranoid if they are actually out to get you. In most instances, the answer reduces down to people wanting to feel safer. While the crime rate is falling, the media exposes us to all of the bad out there, and this makes many of us concerned. 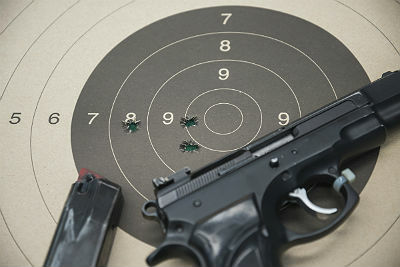 A CHL enables common citizens to defend themselves. Will you ever need it? Maybe not, but the one time you need one it may make a difference. When something bad happens, being prepared to defend ourselves and our family is why we get our CHLs. Most likely you will never be in a self-defense situation, but you cannot rely on always being safe. Being safe is being prepared. My own decision was discovering I am old and slow. Arthritic knees means running is not a solution, and when weather fronts blow in, my limp becomes more pronounced. This can send signals of me being an easier target to predators. I had just turned 60, bought a large semiautomatic pistol for home defense and learned that the Texas Department of Public Safety reduced the cost of a CHL by half. At my age, the license was only $70 and this felt like a bargain. Little did I know that this would eventually add up to at least $1,200. My existing pistol was too large to carry, thus I ended up in a search to find the right firearm. Two more pistols later, many holsters, at least a thousand rounds of ammunition, several pistol classes and a lot of range fees later, I felt comfortable enough to get my CHL. To feel safe is priceless. To have a CHL allows you to be part of the solution.